Start here! Like comics and graphic novels? 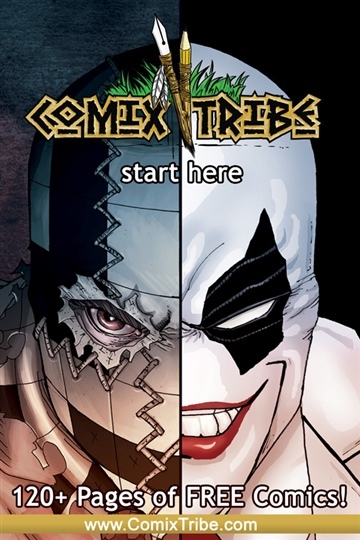 Sink your teeth into the exciting first issues of ComixTribe's top-selling titles. Includes the complete first issues of the superpowered conman caper SCAM, the superhero murder mystery THE RED TEN, the award winning THE STANDARD, and more! Find out what the buzz is about! SCAM is “X-Men meets Oceans 11? and involves a team of super-powered grifters on the biggest con of their lives… taking down a Vegas casino and getting revenge on a former teammate who double-crossed them. SCAM is written and drawn by Joe Mulvey. THE RED TEN is a superhero murder mystery. When the world’s greatest detective is violently murdered by her nemesis, the world’s foremost super team and her former sidekick band together to bring the villain to justice. However, the mission goes terribly wrong, and before the night is out each of the ten “heroes” will pay dearly for past transgressions.